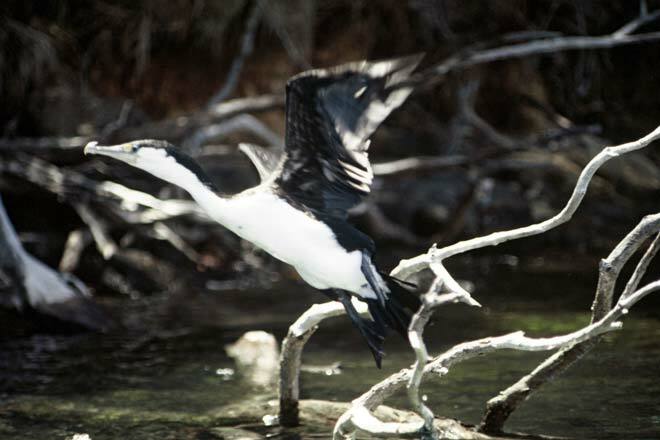 In the same family as the black shag, pied shags feed around sheltered coasts, harbours and islands. They usually nest along the coast, but some go a little way inland to nest on freshwater lakes. Branches close to the waterline are put to good use to dry off after a swim, and as a roost from which to spot prey. This bird is taking off from a roost above water.